Some of the enquirers during the recent #askacurator day event on Twitter were curious to know what curators do every day in their work. Well, I suppose it really depends on the type of collections in their care, and curators in a natural history museum might deal with different tasks compared to curators in an art collection for example. Around 35% of mine and of my colleagues’ working time is dedicated to re-housing specimens, which is the transferring of pinned specimens from outdated or transitory drawers into new, more permanent drawers. Re-housing specimens of hawkmoths in the collection. Many of the original drawers in our collections are not up to scratch with respect to the most recent guidelines of conservation and collections policy, therefore we are actively replacing them with refurbished or brand new drawers. Two old types of drawers in our collection. We have already emptied & refurbished thousands of them, but there are still quite a few left to clear. Once emptied, the majority of the old drawers are sent for refurbishment and then re-use in the collection; other old drawers, as well as many boxes that come in with acquisitioned material, are sold and the proceeds used to buy new drawers or furniture for the collection. Many drawers in our collections still contain unsorted and often unidentified material; this is because new material has been regularly added to the Museum through fieldwork, donations and purchases since the very early days. 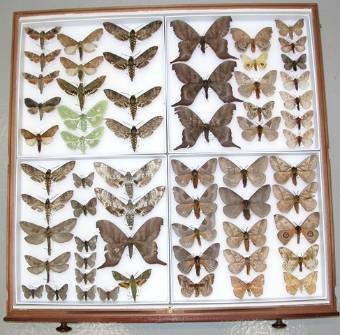 Drawer with unsorted moths recently collected in Bolivia. 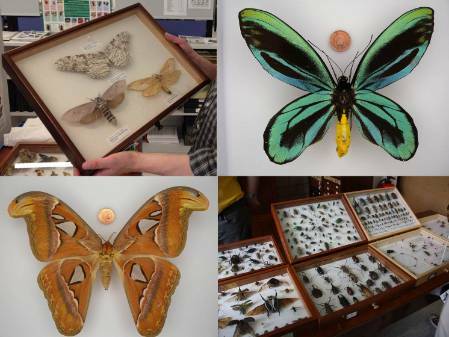 Specimens are also often donated to our Museum and others are purchased. We always identify specimens before transferring them into new drawers along with the identified material already in the main collection. Eventually, when newly re-housed drawers are created, they need new labels, and their location, with other important details, are recorded in our electronic database. 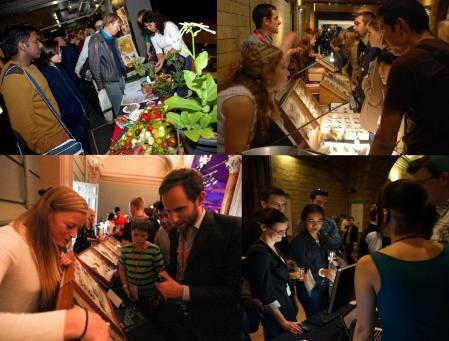 These are all necessary steps if we want to make sure our collections are useful and easily accessible. If you consider that our section is made up of more than 80,000 drawers, it is crucial for us and for our visitors to know precisely where a particular drawer is located. Re-housed drawers in their new location. Each curated drawer has internal labels stating the scientific name of the species inside, and also two external labels specifying the content. 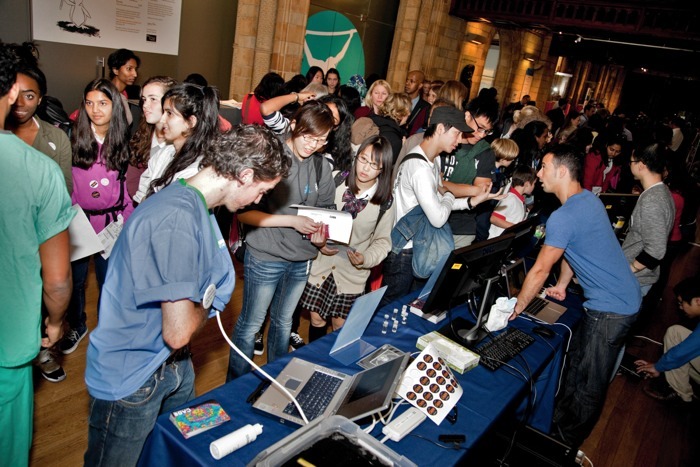 It also has a unique number; these details are all recorded in our electronic database so that specimens can be easily found in our extensive collection. One of my current tasks is the re-housing of the entire Museum collection of hawkmoths (Sphingidae), which contains “only” around 114,000 specimens housed in about 2,130 drawers, and an extra 176,000 papered specimens, still in their original envelopes, waiting to be mounted. 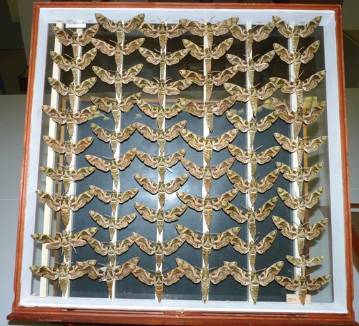 Before August 2008 the Museum’s collection of Sphingidae contained ca. 60,000 pinned specimens, the vast majority of which were from the Rothschild Collection, dated pre-1930. 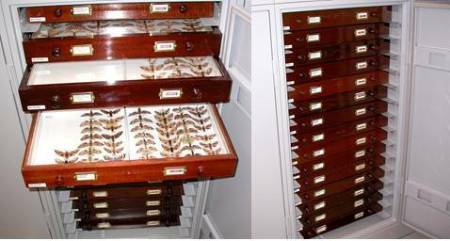 An original Rothschild drawer with specimens of the Oleander Hawk-moth waiting to be re-housed into new drawers. 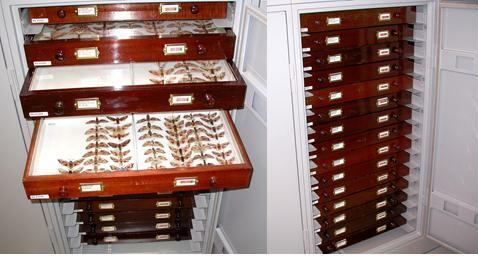 Then, thanks to the generous sponsorship of the Rothschild family, the de Rothschild family, the John Spedan Lewis Foundation, Ernest Kleinwort Charitable Trust and members of our public, the Museum was able to acquire one of the largest private collections of Sphingidae, the Jean-Marie Cadiou collection. 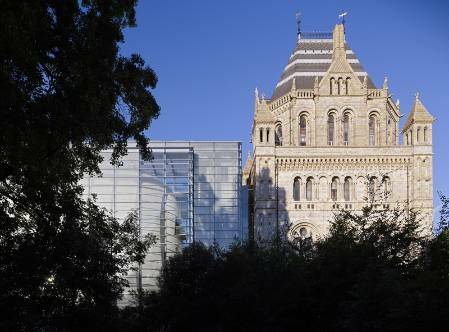 The Cadiou collection, which contained 53,000 pinned specimens and 176,000 unset and still in the original envelopes, doubled the size of the Museum's original holdings and has provided modern material that was lacking in our collection. 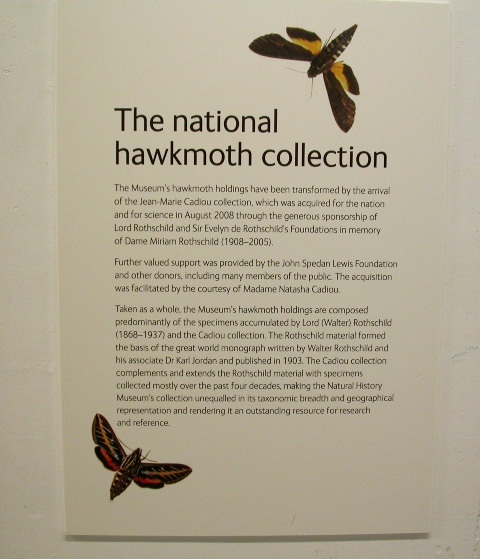 The Museum’s hawkmoth collection has been transformed by the arrival of the Jean-Marie Cadiou collection. Follow me in the next few posts, where I will talk about both the original Museum and the recently purchased Cadiou sphingid collections. 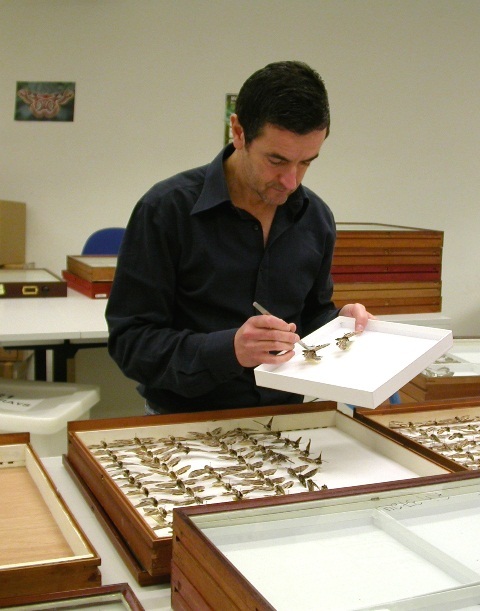 I will explain how the current curation of the important and comprehensive Museum’s collection of sphingid into modern unit trays and refurbished Rothschild drawers is taking place.